She has plenty of comfortable places to sit or lounge including teak benches with backrests, comfortable, chair-height cabin tops and a large amount of open, uncluttered deck space enabling guests to move about with ease. 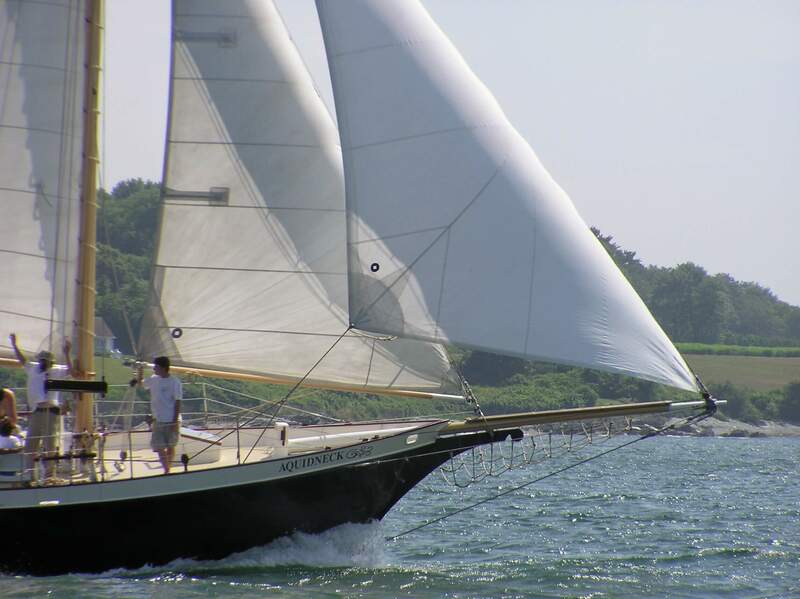 Sailors and non-sailors alike enjoy their sail on Aquidneck. 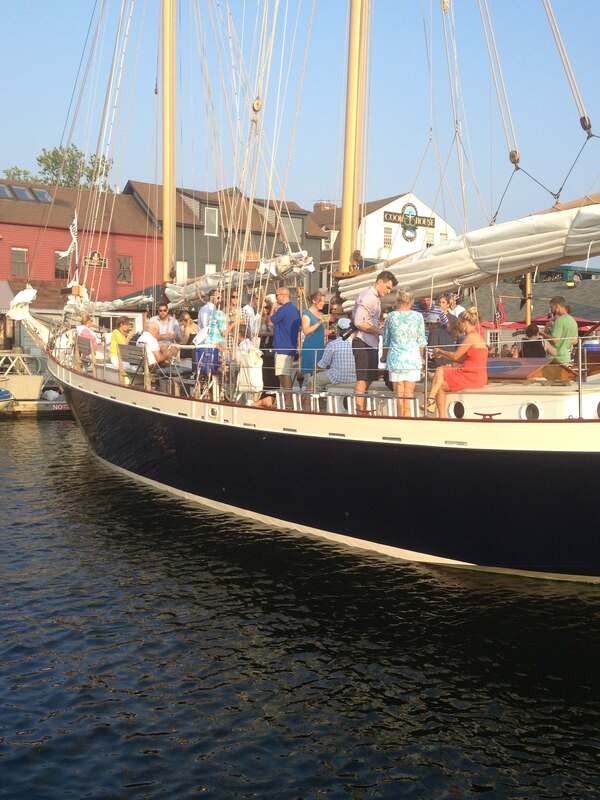 Guests may help raise sails, take the helm or sit back and relax. 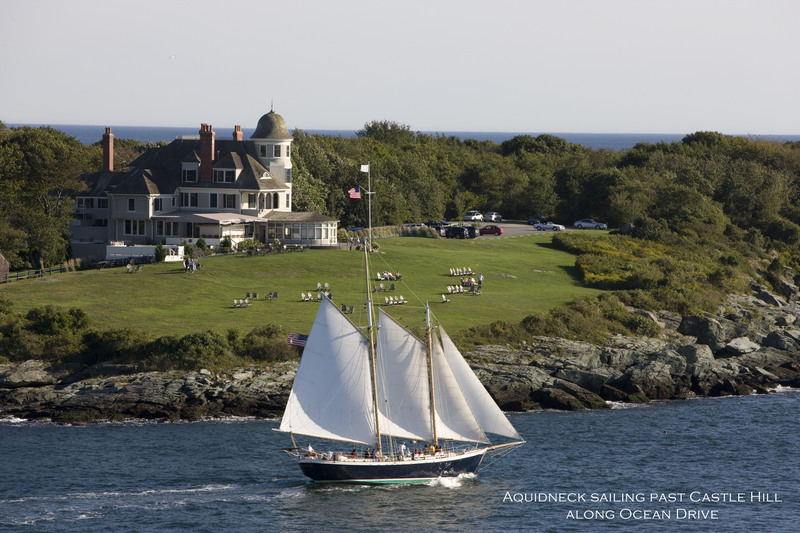 Sailing experience is not required! 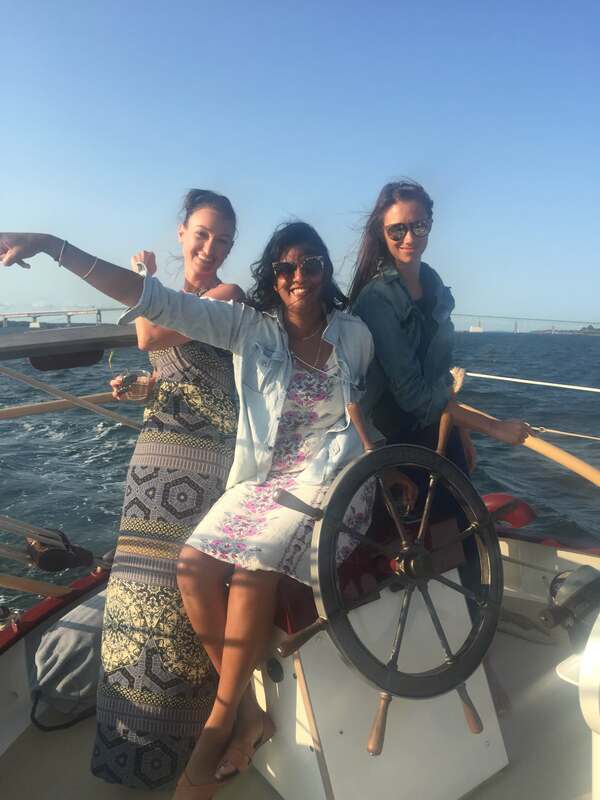 Sail through Newport Harbor and Narragansett Bay past all the famous sights including Fort Adams, Hammersmith Farm, Clingstone and Newport’s Ocean Drive. 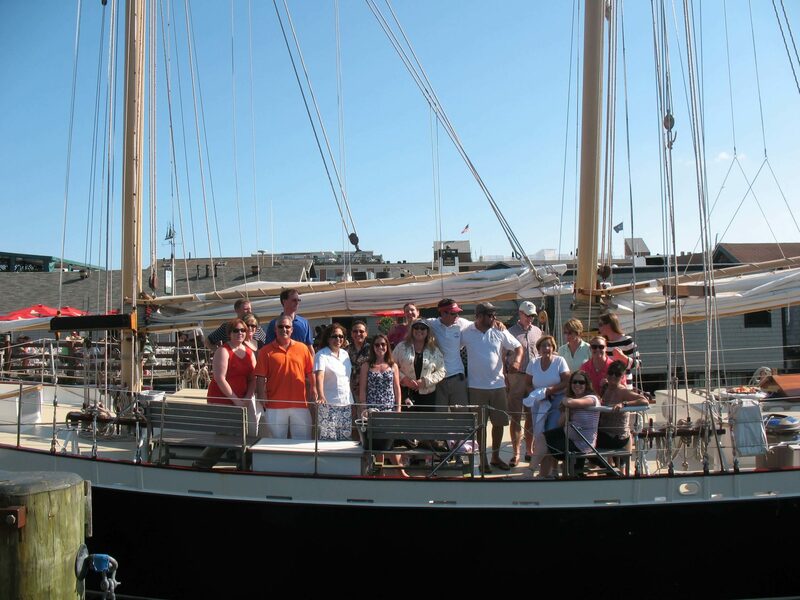 Our captains and crew are knowledgeable about all the sights and will provide light, informative commentary. 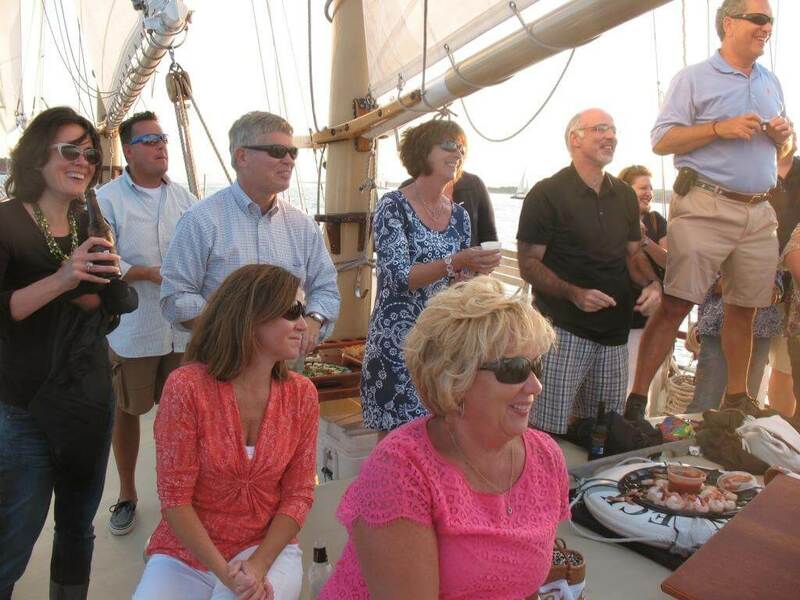 For private charters, we have a large, elegant, mahogany table that holds caterer platters, as well as several Igloo coolers to hold beer, wine or champagne. There is a stereo system with iPod interface, blankets for cool evenings and light rain ponchos in the event of a passing shower. For private charter food and drink suggestions, see the Food and Drink section in our FAQ. 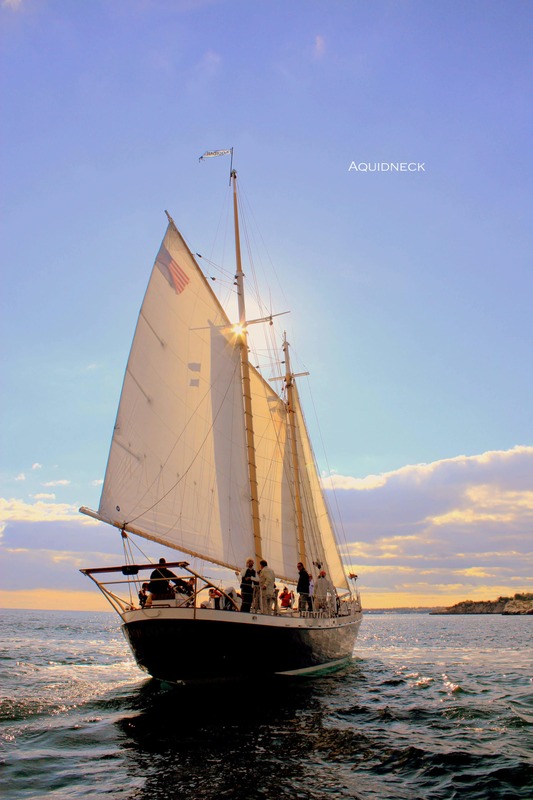 Aquidneck sails morning, afternoon and at sunset, seven days a week. 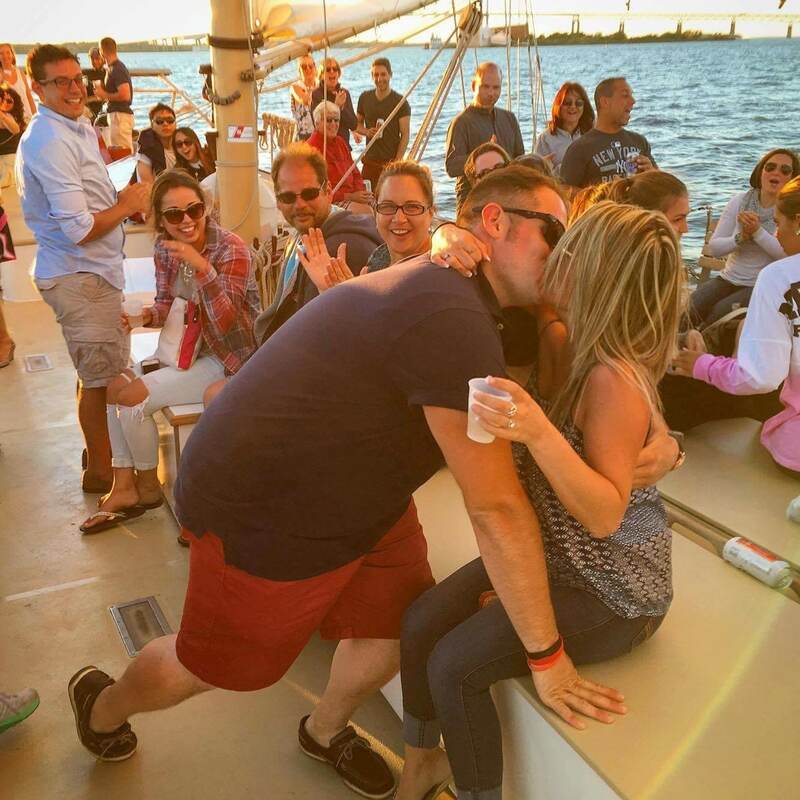 Start your day with a Morning Mimosa Sail or join us for a Classic Afternoon Cruise or Champagne Sunset Sail. 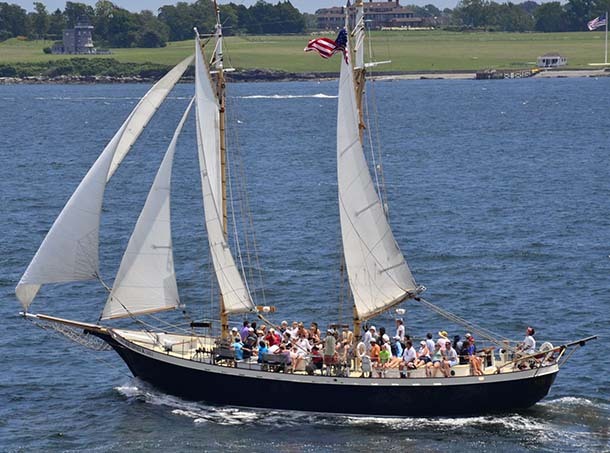 Sails are approximately one hour and forty minutes. Click here for Schedules & Rates or see availability and Book Online.